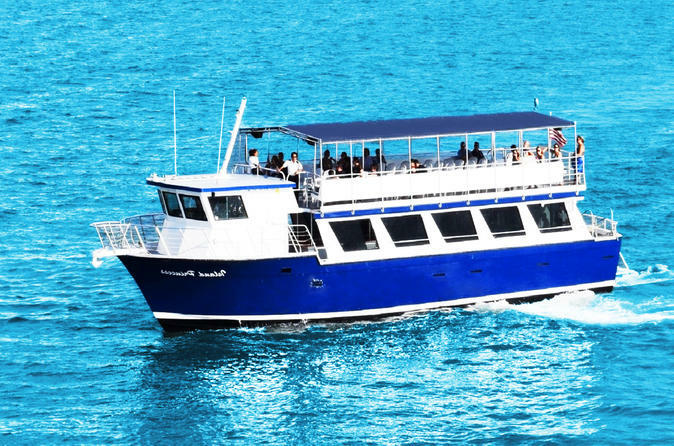 Admire the beauty of Miami’s coastline during an 80-minute sightseeing cruise on Biscayne Bay. See the downtown Miami skyline, opulent mansions, Venetian Islands, Port of Miami, and more. Keep an eye out for marine life including manatees and dolphins while your guide narrates and points out notable landmarks. Your cruise boat embarks from the centrally located Bayside Marketplace in Miami. You're welcomed aboard the Island Princess or the Manatee II, double-decker vessels that afford views from inside or out during the 80-minute journey around Biscayne Bay. While you coast along, hear live narration about the sights, including the Miami skyline, the Port of Miami, Fisher Island, Star Island, and the Venetian Islands. Your guide points out notable landmarks, including mansions of local celebrities. Cocktails, beer, soft drinks, and snacks are available for purchase at the bar on board. Be sure to bring your camera and be on the lookout for dolphins, manatees, and other marine life.